Whether you need personalised Christmas cards or for Chanukah, Kwanzaa, anniversaries, or other special occasions, blank greeting cards send the right message. It's easy to keep in touch with people nowadays with conveniences like telephones, mobile phones, email, social networking, and video chats, but there's nothing like actually holding correspondence in your hands to really feel the connection with someone. No matter what the occasion, blank greeting cards are the perfect way to communicate the message. You can personalise your blank greeting cards with any motif - you can even order them as personalised Christmas cards or photo cards. 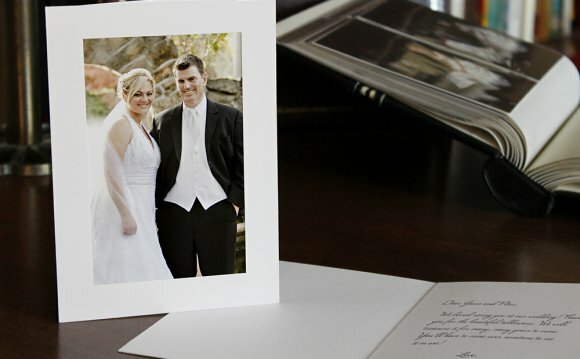 Why not put your wedding photo on your anniversary cards? Instead of run of the mill landscape postcards from your summer holiday destination, you can put your very own vacation pictures on the card to add that personal flair and reflect your individual personality. Bring back blasts from the past and send old photos for those in need of a hearty laugh. Send pictures of your newborn to announce the birth of the latest member of the family. There is no end to the possibilities. Blank greeting cards are truly a versatile way to let people know you're thinking about them. These are an even better deal when you consider that these personal notes can be used all year long for any reason. You needn't worry about tossing them out due to outdated messages and dates. Imagine the look on the recipients' faces when they see your photos arrive in the mail. What better way to say hello than with something that truly comes from the heart? Order your blank greeting cards quickly and easily from Pixum today! Pixum prints all your photo cards on high-quality premium paper!